The annual St Croix Ag Fair happened this past weekend. I hadn’t been in 7, maybe 8 years – since well before the closing of Hovensa (the island’s oil refinery) and the consequent economic decline. 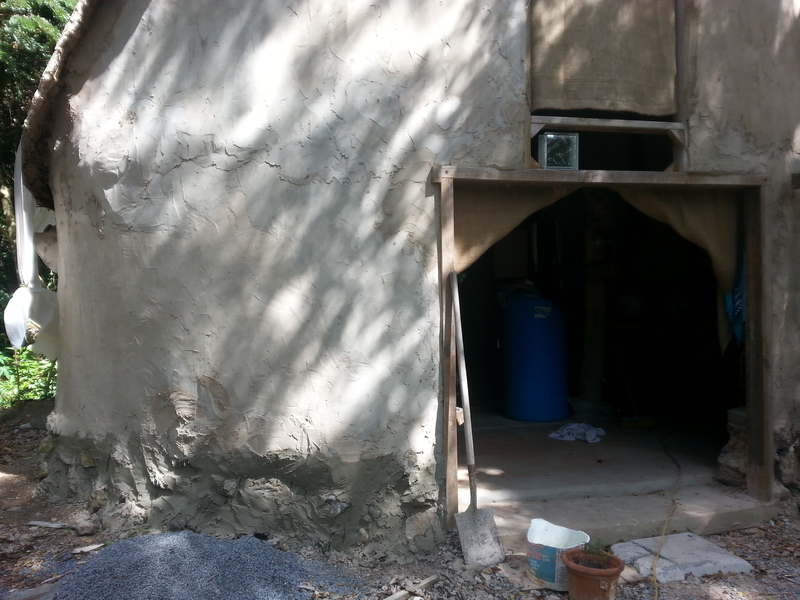 I knew not to expect too much, for times are hard and there is little money for people to throw around…for those few who remain on St Croix, that is. So, you’d think…with the economy at such a low, blah blah blah, that people would be doing more for themselves, growing more, perhaps even making some simple craft items on the side, something? Apparently not. The produce section was much the same as ever, perhaps no less, but certainly no more. The rest…was simply awful. As an artist and “crafter” myself, I always look out for local baskets, woodwork, leatherwork, pottery, sewing, carving, etc…this time to little avail. Not one handmade basket (from St Croix) was to be seen. 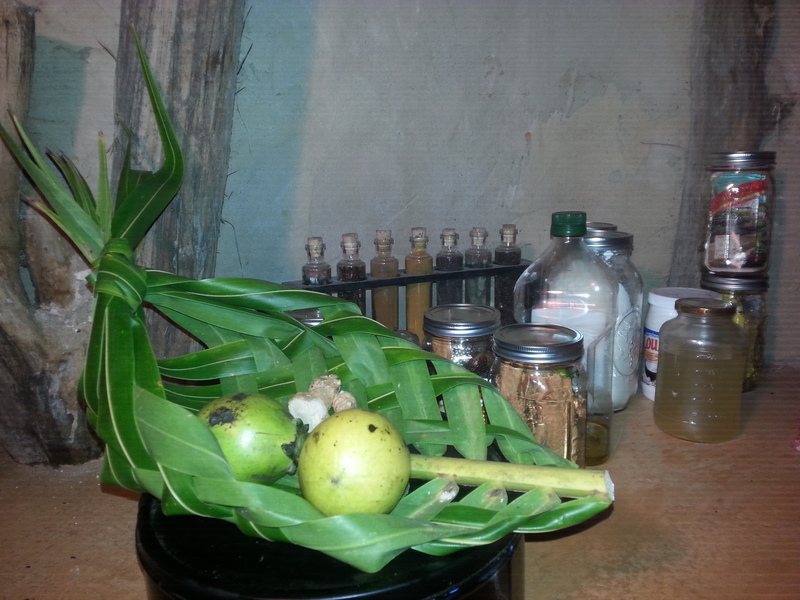 Not one simple ornament or knick-knack made from local natural fiber, coconut, seeds, etc. There was one, only one, booth with calabash pieces – toys, bowls, jewelry, etc – by Veronica Gordon, who has been doing the same items for many many years. All these drinking nuts (green coconuts) for sale, yet did I see one single palm frond hat, basket, star or fish? For shame, people, for shame. The booths upon booths of plastic junk? Shame! The endless rows of fried chicken and Johnny Cakes, when there’s an abundance of fresh produce available? Shame, again! Not to be negative, but we can do better than this, we are better than this! Focaccia headed to the oven. On the note of betterment, next Wednesday we’ll be kicking off our very own produce table, and the West location of VI Prime Produce! We’ll be located right on Mahogany Road, just before the old stone house on the left-hand side, and will be open from 4-7pm. You’ll be able to order fresh produce from Ra’s Sunrise Daughter Stand and Toni Downs (among others) through the website, plus our own baked and canned goodies. We’ll have extras of all the baked goods on the table, and a free palm frond fish with your purchase! 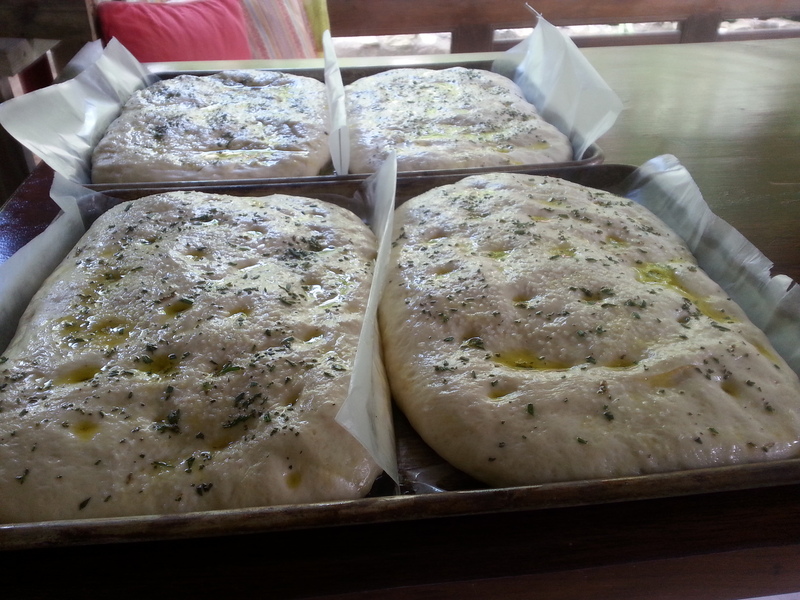 Our special of the week will be Artisan Focaccia with olive oil, sea salt, and fresh rosemary, for $10. 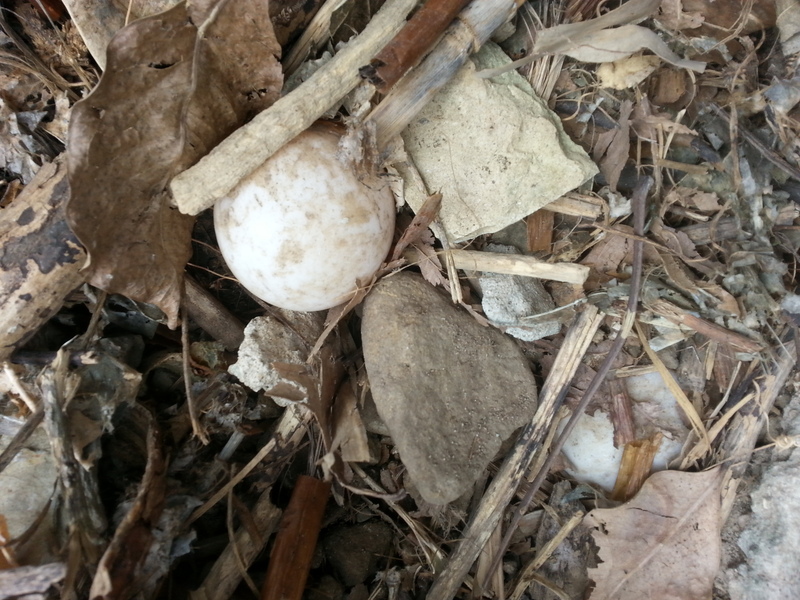 Tortoise eggs as I found them: barely covered in a shallow hole (tortoise legs aren’t very long!). From our breeding group of adult Red Footed Tortoises. 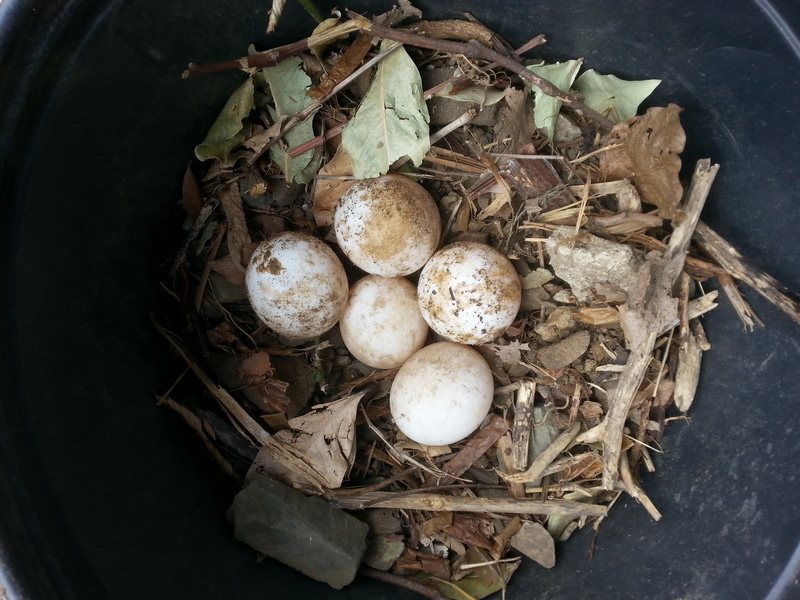 Relocating the tortoise eggs into a safe container, for protection from mongoose, birds, and other predators. 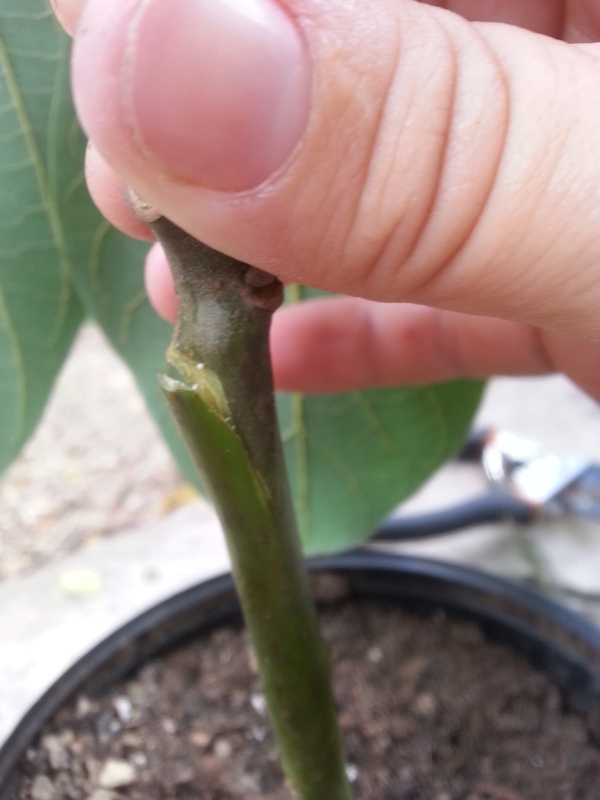 Fitting a graft on an avocado sapling. 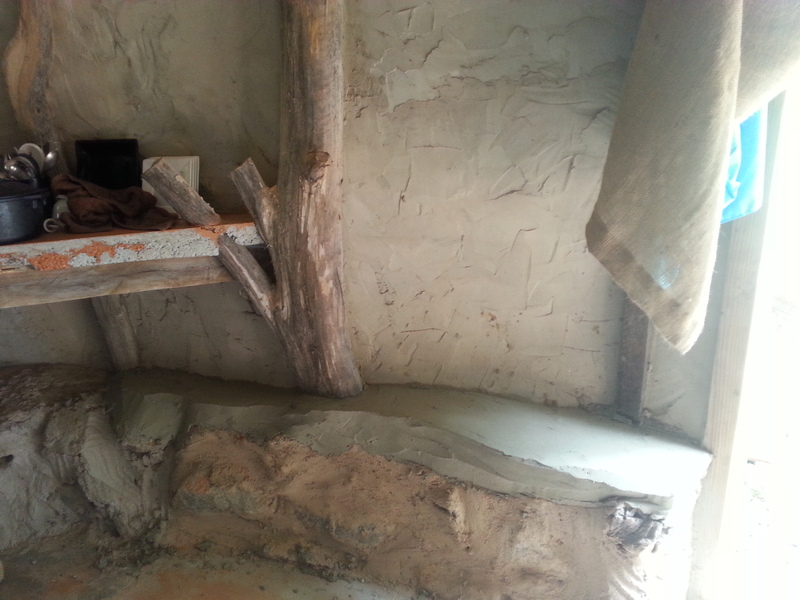 Finishing touches on the foundation wall. 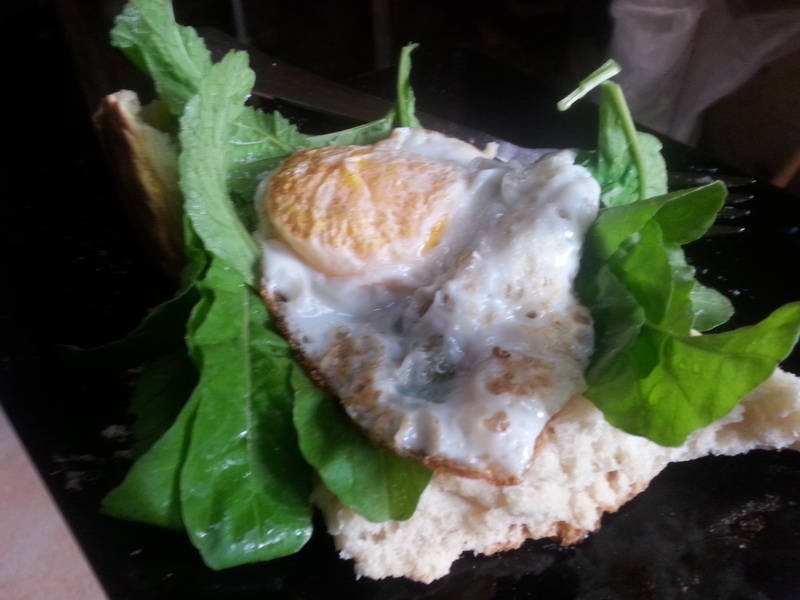 To you, this is probably just a yummy egg sandwich. To me, it’s a culmination of 11 months of hard work with no end in sight…my first “meal” cooked in the Nid. Fresh homestead eggs! Edwin stopping to smell the flowers on Valentine’s Day. He’s clearly in love. 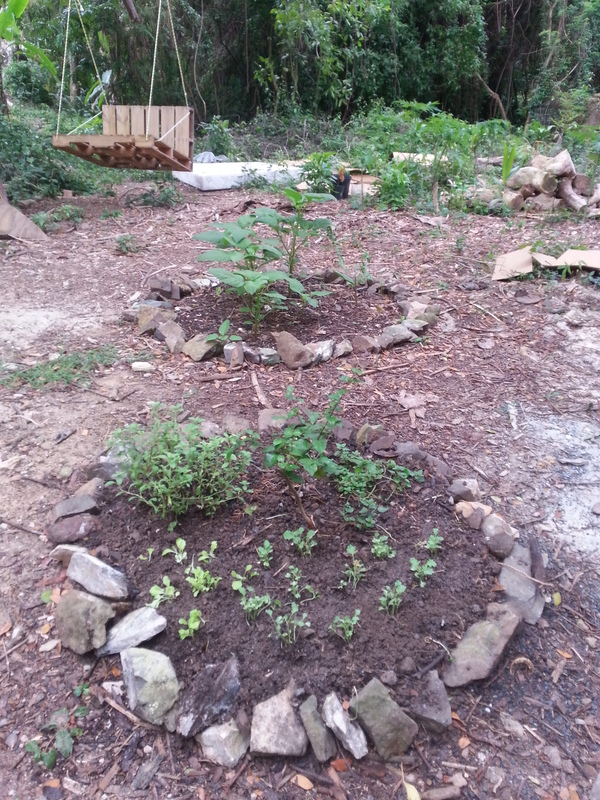 Herb circle, front, and heavily seeded veggie and amaranth circle, behind. 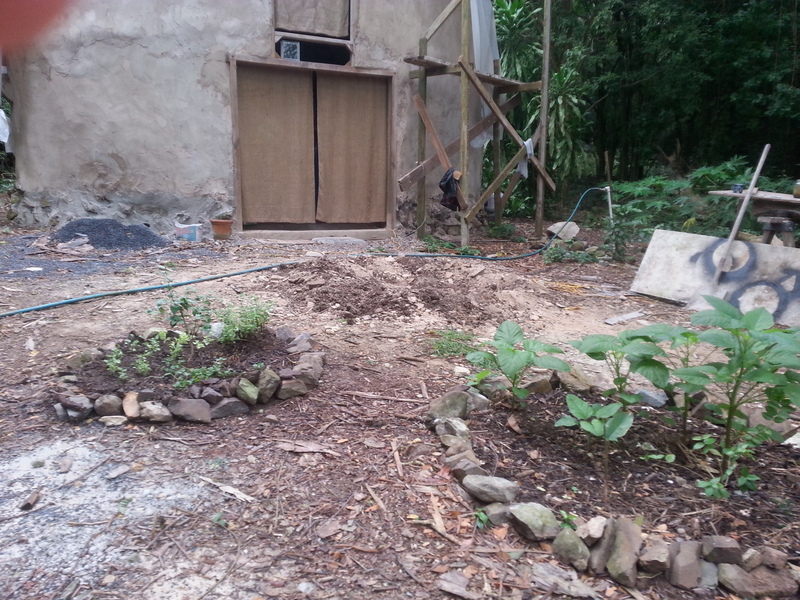 These have been dug with homemade compost and wood ash from the oven. 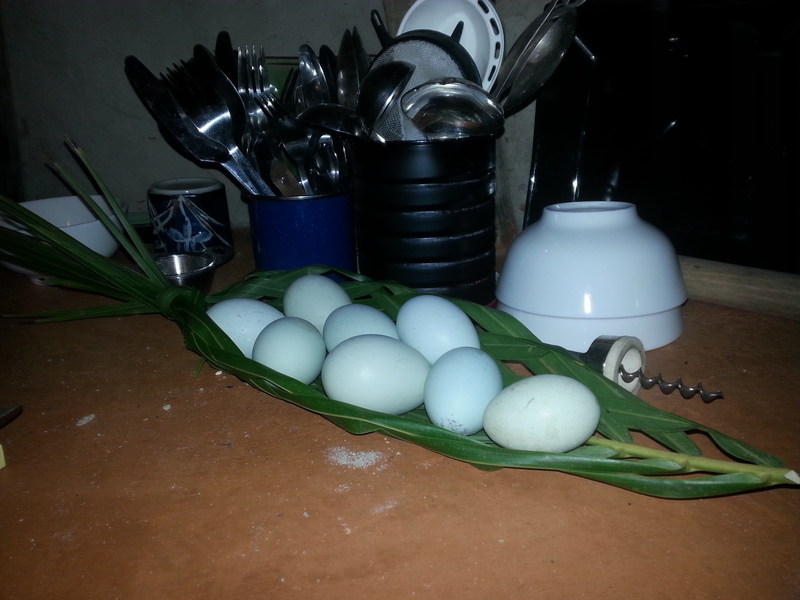 Fresh eggs in a quick palm frond basket. 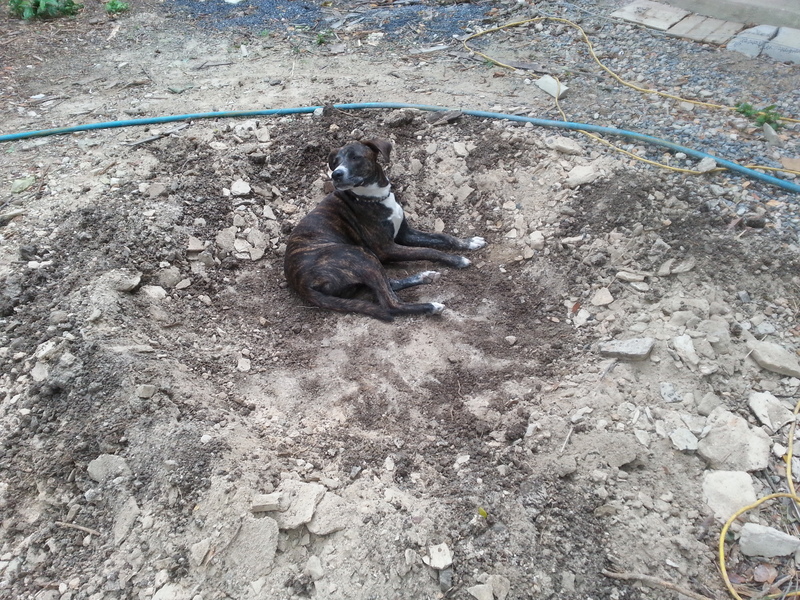 Pond excavation behind the garden circles. Starting to get the feel of my vision for the front yard area. Another *basic* fruit basket. Why is no one making anything like this? We should not have to be importing baskets made in China to hold our local produce! 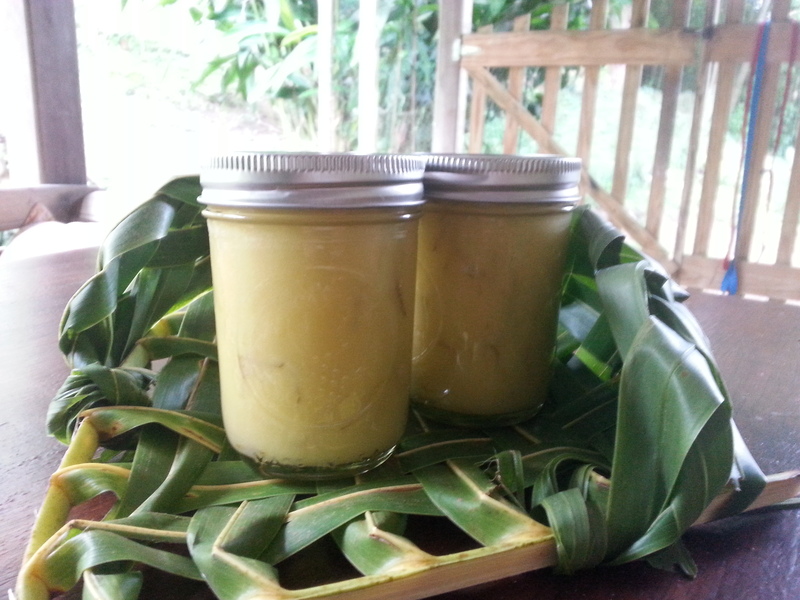 Fresh lemon curd, made from our own sour oranges and eggs! There’s still one jar from this batch that hasn’t been spoken for, act fast! – in yet another quick basket. 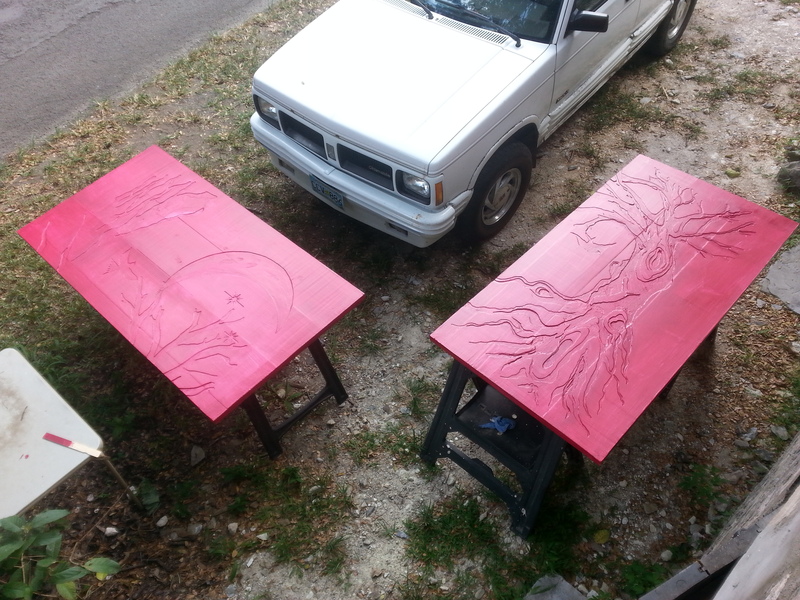 Painting the doors, at last! We just dropped some new products over at Cruzan Gardens, so go on over for some Sweet Citrus Bites or a jar of Flabeéd Banana Preserves (made with our homestead bananas and citrus, with a glug of Cruzan Rum). They still also have our Marmalade, Toasties, Chutneys, and more! The hens are starting to lay consistently, so we’re beginning to sell beautiful blue eggs by the half dozen to a few very special people…better get your name on the list! My Oh My I couldn’t agree more about Agrig. Fair. I was very disappointed especially with the farm stands and the junk from China it was all garbage. I don’t think anyone bought much I know I didn’t buy a thing but some herbs, honey, and veggies from my fav. farmers that I buy from anyway. I guarantee if you made some baskets they would sell you are not only a master in the kitchen, builder of a home but an artist and crafter. Love you are cooking in your Nid that is awesome. 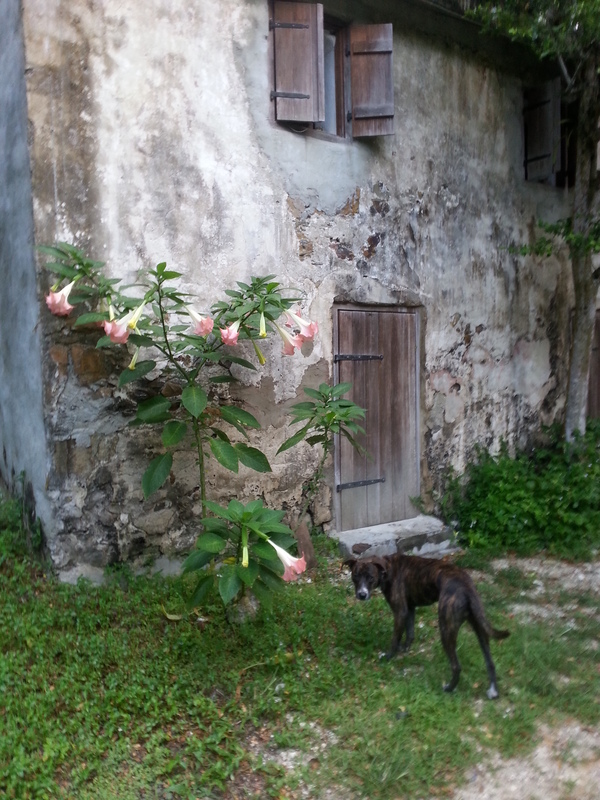 Love the gardens and how it is all coming together. Have a great week will get some focaccia next week for sure. Thanks for the blog love reading and seeing all that you have been up too. All this shaming sounds judgemental, and your tone is angry. The Ag Fair has room for everyone. Next year, please go visit the homestead house and the old store where you can buy locally made baskets by Eileen Huggins. I bought one, and it is as beautiful as the one I bought last year, and the year before that. Also, if you don’t like fried food, make sure to taste the callaloo next year. Your nid project is very admirable, I wish you good energy, and peace. Hello Camilla, I’m sorry that you feel my tone was angry and judgemental – I meant only to voice my sadness and to start a conversation on how we might better represent St Croix at Ag Fair in future with a representation of our locally crafted items. I am glad to hear that there were indeed some baskets available, though it saddens me that they were tucked away in a remote building, rather than being displayed proudly, front and center, as a piece of our cultural heratige and modern day life.